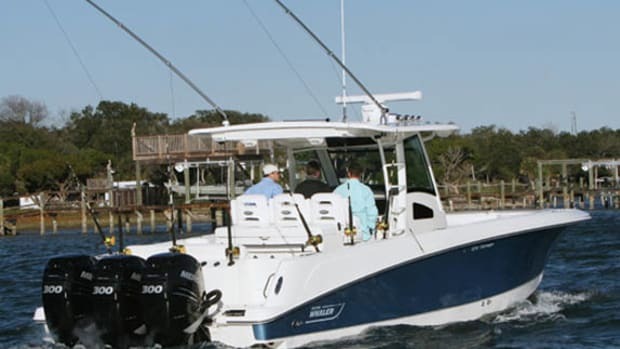 Click here to visit Boston Whaler's website. 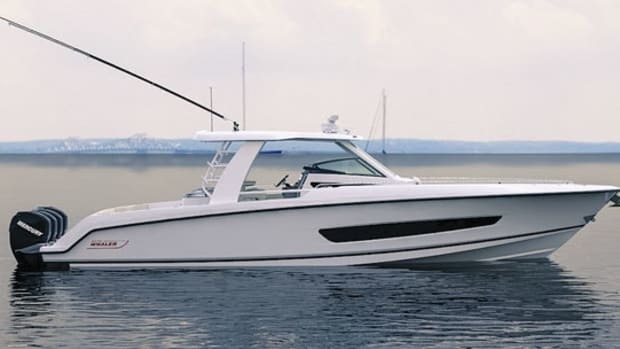 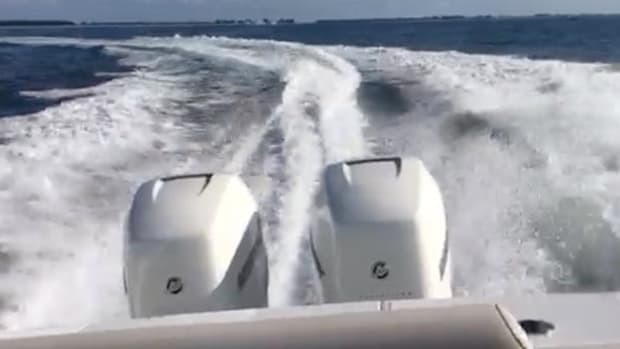 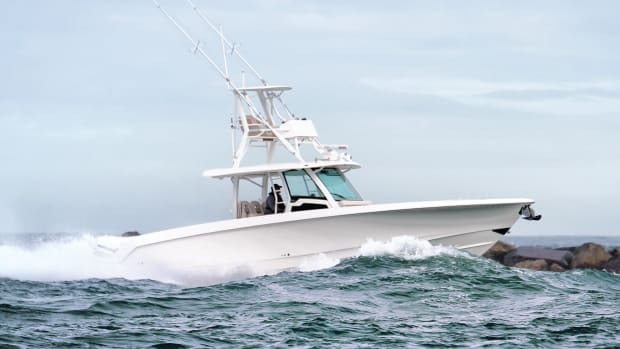 With a fold-down platform that raises you 3 inches off the deck when standing at the helm plus so much more, this isn’t just another center console. 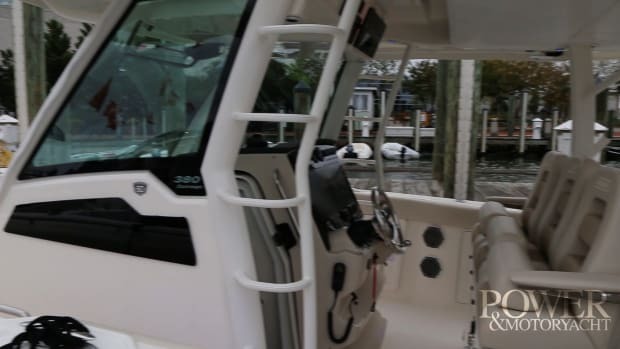 Showgoers weather the wind and rain to climb aboard Boston Whaler's new 380 Outrage. 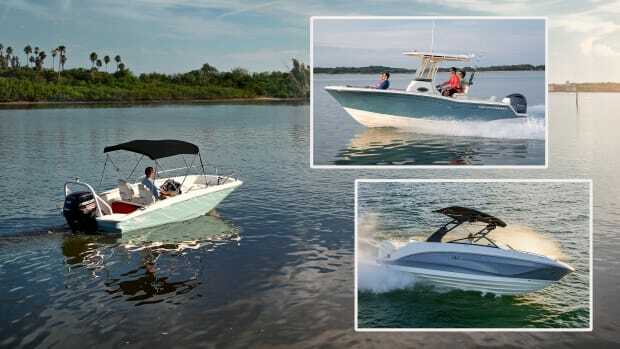 Our first look at the Boston Whaler 330 Outrage. 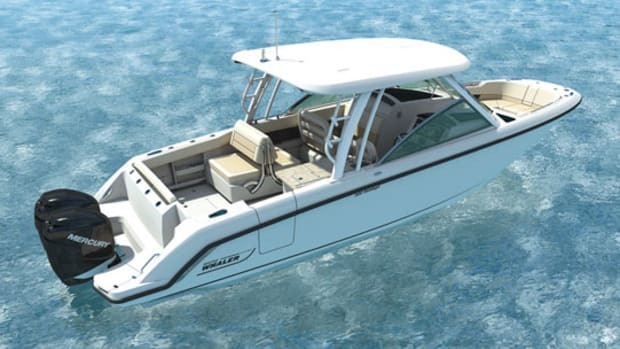 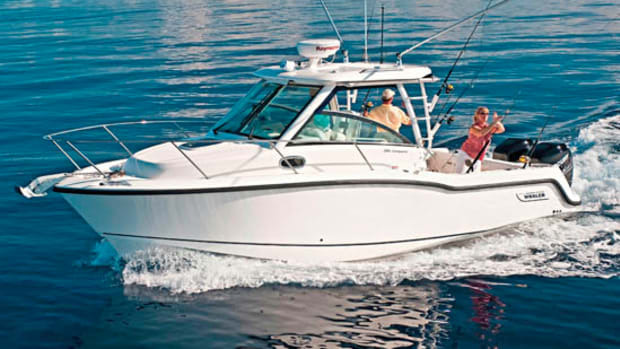 The Boston Whaler 330 Outrage combines serious fishing features with family comfort. 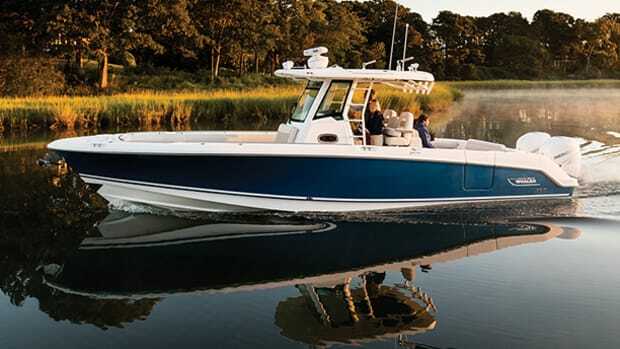 See her in action here.